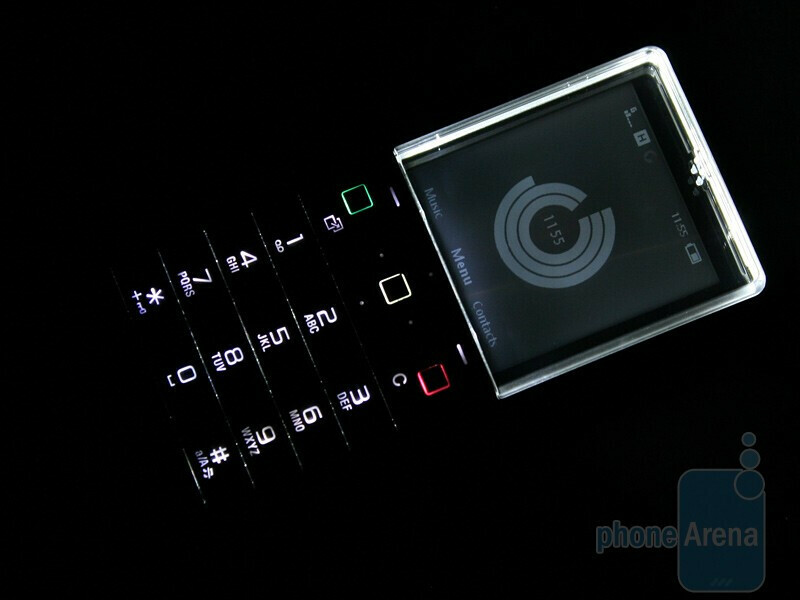 This is a global GSM phone. 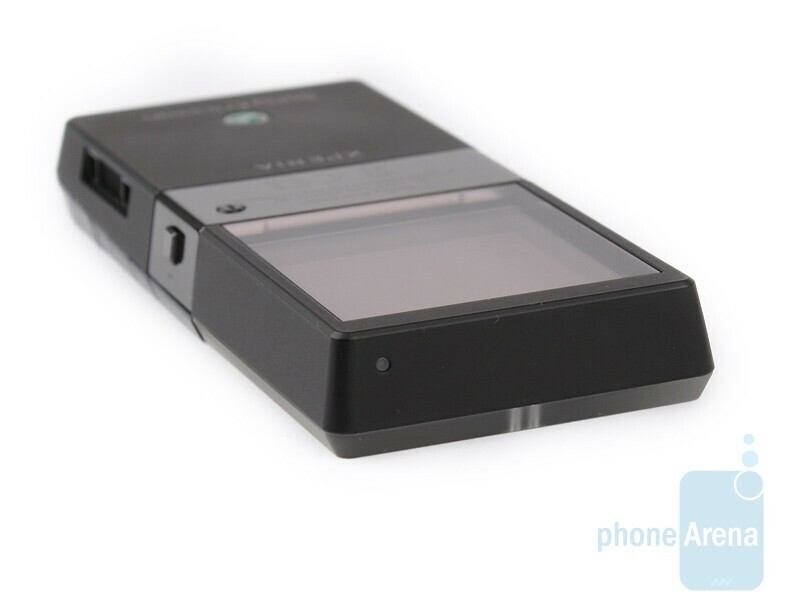 It can be used with AT&T and with T-Mobile USA without 3G. When money is not an issue, people can easily relish small things in life, say, sail the ocean on your own 45-meter yacht, bask in the sun in the garden of your estate on a tropical island, feel the wind in your hair while driving in a shiny, handmade Italian convertible built to order. Like we said, all these small things that make us feel we´re actually living. Cell phones by manufacturers like the Vertu, Gresso and Mobiado are aimed at the very same target audience of people, who don’t mind spending a few grand on expensive gadgets. As a rule, mainstream manufacturers rarely have models that belong to this particular price category – Nokia offers the Arte series of handsets, Samsung and LG sell Armani and PRADA branded cell phones, but we cannot say this is a prevailing trend. 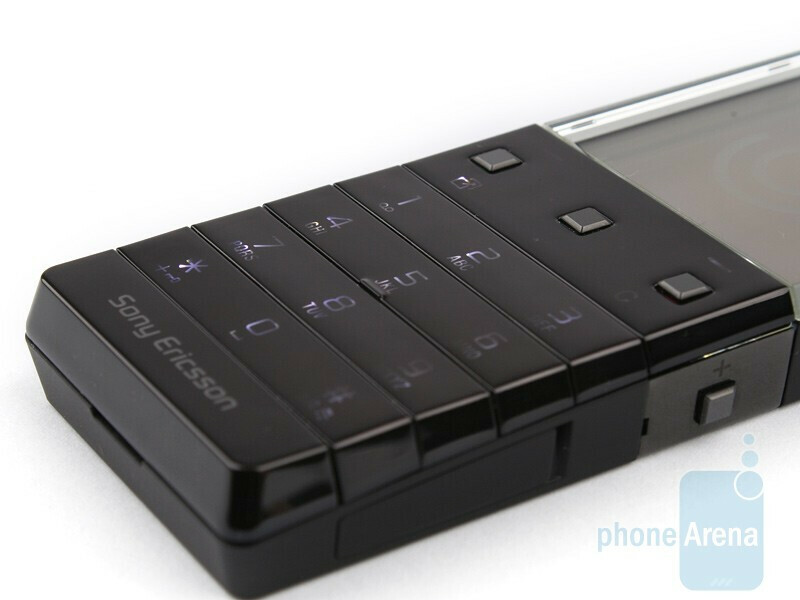 So, Sony Ericsson has decided to join the club rolling out the Xperia Pureness X5, a model with basic functionality and spectacular transparent screen. It would set you back with about $1,000 and you might well be thinking “Jeez, it should be able to cook for that amount of cash”, but sadly, this is not the case. What you get for the buck is the feeling of owning an expensive, luxurious accessory and being entitled to certain, premium services. As you may read for yourself in the special brochures coming with the handset, buying yourself the Sony Ericsson Xperia Pureness X5 gives you the right to take advantage of certain privileges like getting the device replaced within 48 hours in case it breaks down (valid for most countries), plus dedicated web portal and customer support team to answer all questions you may have. You are also entitled to Pureness concierge (a service that you need to register with by providing the device IMEI) that provides information on events, posh restaurants etc. and allows you to book places right away. 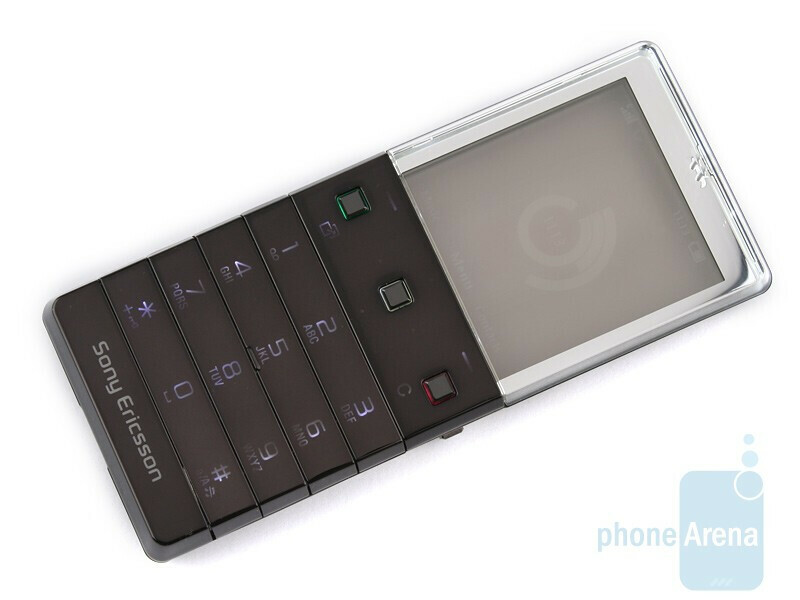 The service is similar to what´s offered to people who opt for the Vertu and it´s a good thing that the guys at Sony Ericsson realize that premium customers require companies to go the extra mile for them. 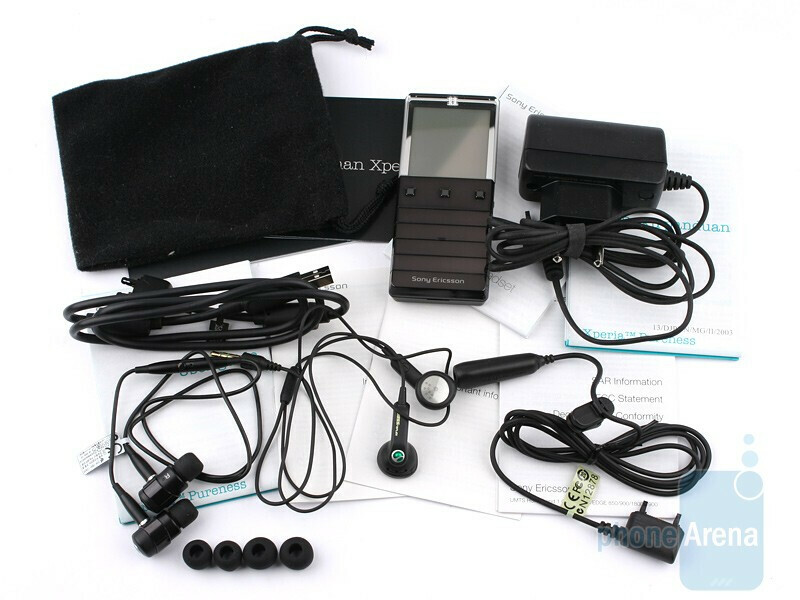 Aside from booklets and the cell phone itself, what you get right out of the box is USB cable to connect the handset to a computer, adapter to 3.5mm headphone jack and two pairs of earphones. We were slightly surprised at the latter at first, but eventually it dawned on us why the manufacturer had decided to provide two sets – simply because there are quite a few people, who actually dislike in-ear headphones and don´t find them particularly comfortable to use. 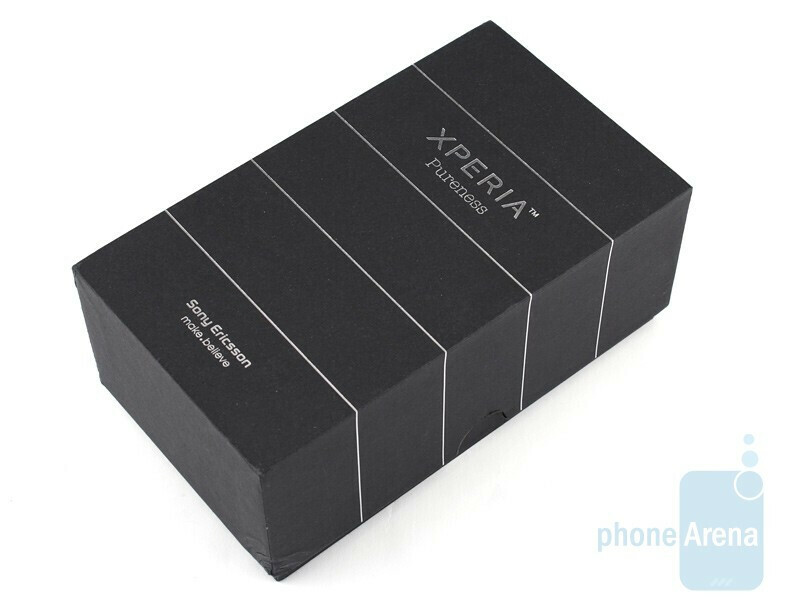 There is also a leather pouch to tuck away the Sony Ericsson Xperia Pureness X5 and protect the precious from getting scratched or dirty. Probably the first thing that strikes you is, of course, the display. Let´s not beat about the bush, transparent elements are always eye-riveting. For an instance, the keyboard of the LG Crystal GD900 is one of the reasons why we still consider the handset one of the most spectacular cell phones we have ever seen. 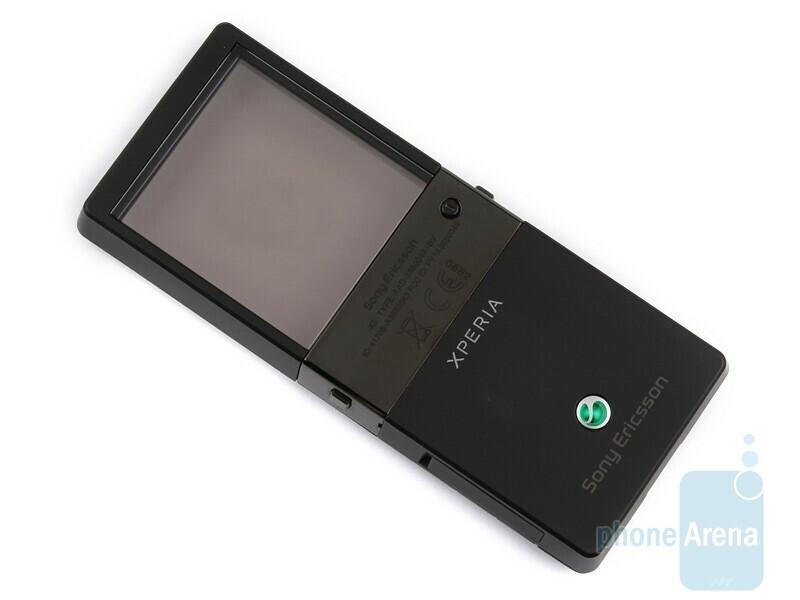 In the particular case of the Sony Ericsson Xperia Pureness X5, however, the 1.8-inch screen is something that stands out all the time, meaning for others to see and admire to. It´s monochromatic and features QVGA resolution. The combination of small size and such a resolution makes images really detailed, while the lack of colors has its own charm, it touches you the way old black and white photos do. The screen is backlit and the glow makes it even more spectacular to look at, plus it allows for easy reading of what´s on screen in the dark. Weird as it may seem, the Sony Ericsson Xperia Pureness X5 is one of the few, if not the only handset equipped with display that actually works quite better in direct sunlight as compared to indoor environment. Everything remains extremely clear, legible and easy to discern. The manufacturer claims the screen is scratch-resistant as well, which is more than welcome really. The Sony Ericsson Xperia Pureness X5 is an ultra light and thin and we like that a lot. 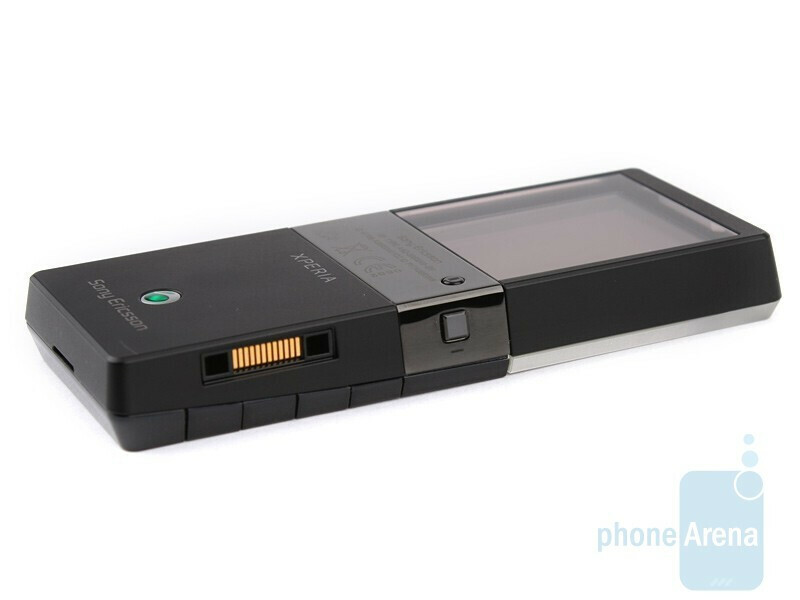 It feels comfy in your hand and despite its angular shapes, it´s really comfortable to carry around in your pocket. You can compare the Sony Ericsson Xperia Pureness X5 with many other phones using our Size Visualization Tool. 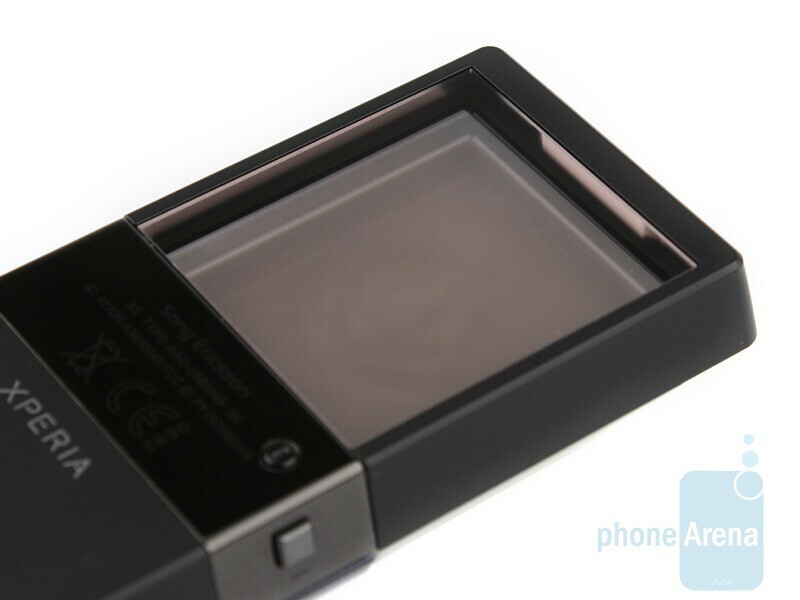 As a whole, the outer appearance of the device is something we do like a lot, plus its display is one of a kind. Still, unlike the luxurious models of other companies, the build quality is not particularly high and plastics dominates the body. The raised buttons – send and end keys, the middle of the D-Pad and the volume rocker on either side are comfortable to use, since they feature a pronounced travel and are separated from other design elements. The D-Pad and the function keys are too small though, so people with thicker fingers might have certain troubles using them, but they are still distinctively felt when pressed. The keyboard is slightly better, although we do find the wobbly tiles that cover the keys somewhat annoying – they just don’t look stable enough. 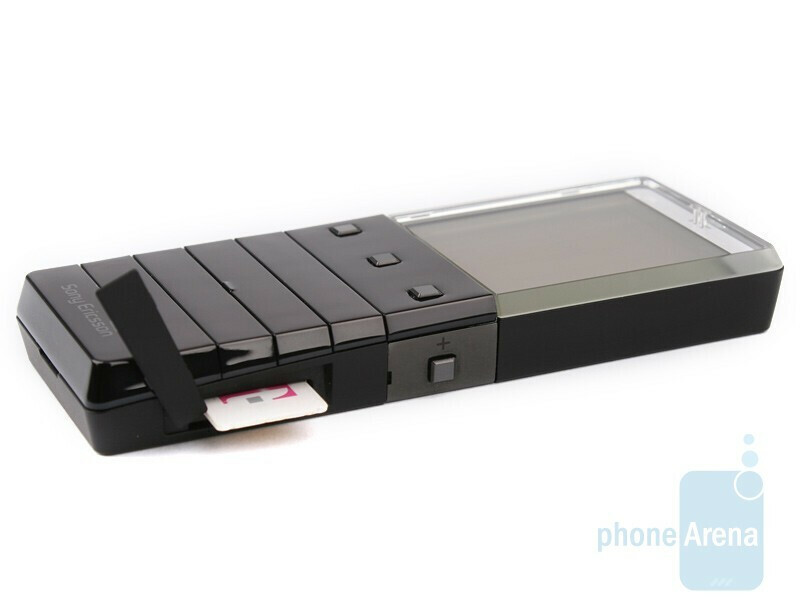 The SIM card slot is on the right-hand side and it´s safely covered with a protective flap. 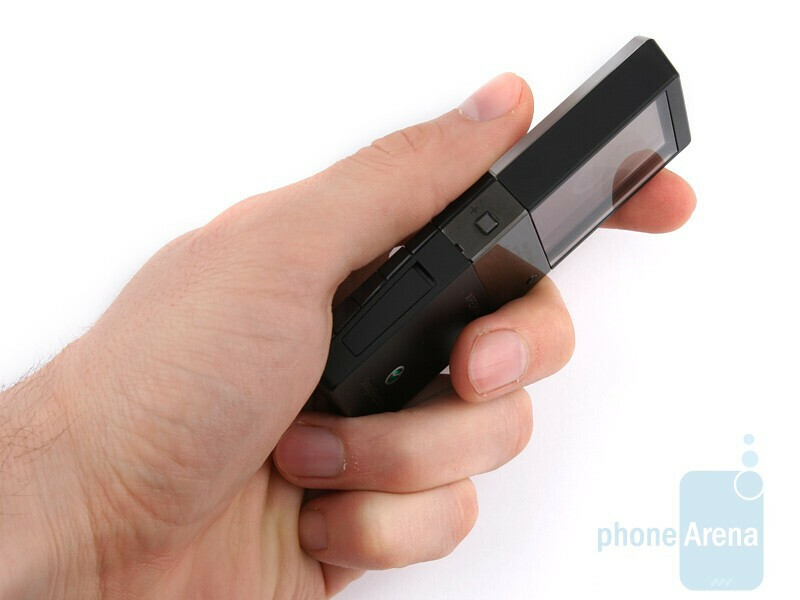 Sony Ericsson´s proprietary connector is on the opposite side and we must say that it looks enormous when compared to the overall size of all other buttons. Frankly, it mars the beauty of the handset. The small button to switch the phone on/off is on the back. 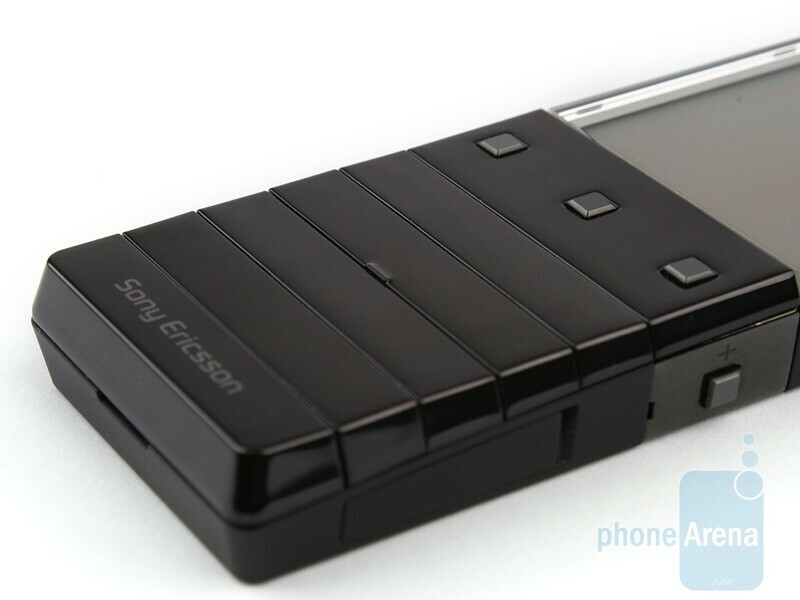 We need to point out that the Sony Ericsson Xperia Pureness X5 doesn’t feature expansion card slot, but integrates 2GB of built-in memory for multimedia files. Given the target audience, we believe the amount is adequate. 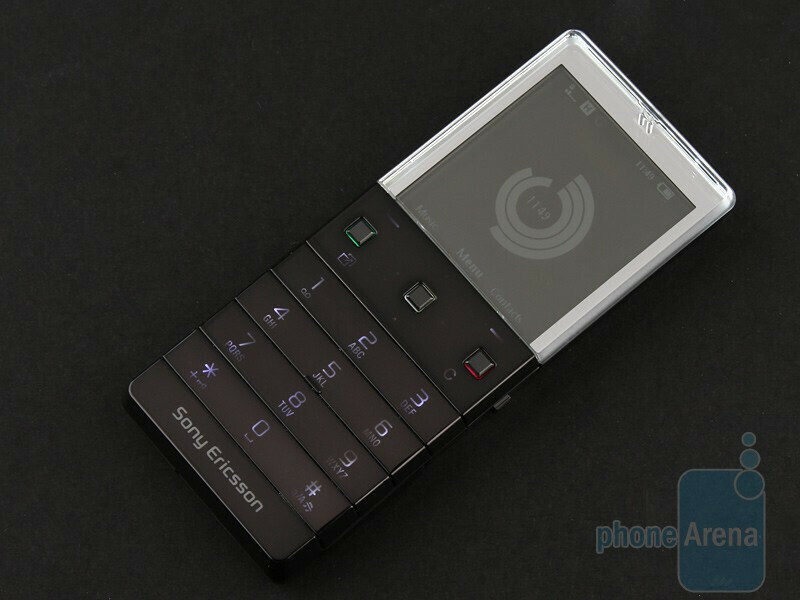 The Sony Ericsson Xperia Pureness X5 is an extremely impressive, especially the first time you see it, because clearly, it´s not something that you bump into on a daily basis. Unfortunately, the quality of its build and materials it´s made from is just not high enough and the handset doesn’t feel truly luxurious in your hand. 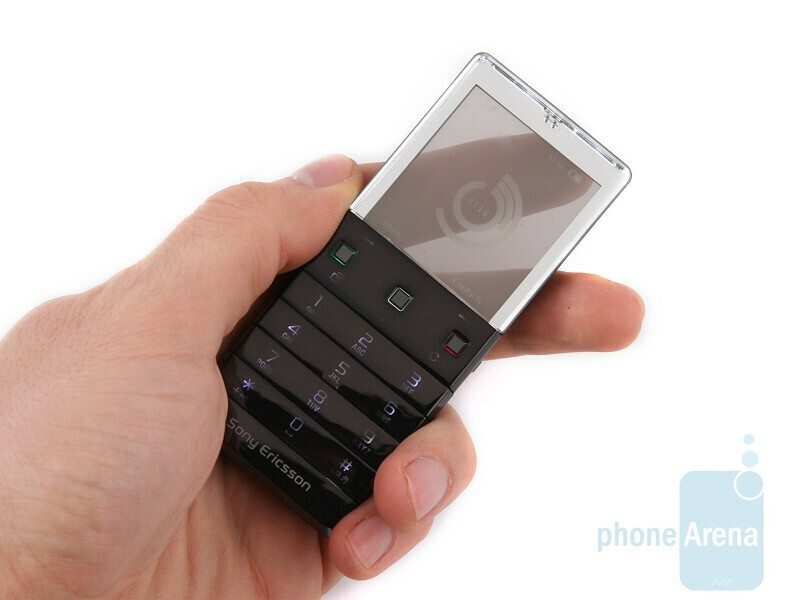 In other words, the Sony Ericsson Xperia Pureness X5 will certainly grip the attention of on-lookers, but you better don´t allow other people to hold it. The ostentatious part of us approves of the tactics, while the down-to-earth, practical one – not exactly. I've got five words for this, "You've gotta be kidding me!"